Jossbox, one of India’s leading boutique digital agencies, has been steadily expanding their services and are now marking their foray into retail technology solutions. Called ‘Specto Footfall Counters’, the IoT technology measures retail footfall traffic and provides heat mapping solutions that enable brands to better understand both instore traffic and customer engagement. Jossbox has partnered with e-commerce giant Mytra, who recently launched Spanish high street retailer Mango in the country with the first store in Delhi followed by a second on in Mumbai. Jossbox will be installing the Specto Footfall Counters in all of Mango’s brick and mortar stores across India to help improve the brand’s retail strategy and enhance consumer experience using data and insights. Footfall is a crucial factor for retailers. Improved and data-based footfalls not only help drive sales but also enhance conversion rates. ‘Specto Footfall Counters’ is an IoT solution that counts the number of people entering and exiting the store. It’s accurate, robust and easy to install. The IoT devices connect via in-store WiFi to the Jossbox retail cloud servers. Devices are monitored and supported remotely. 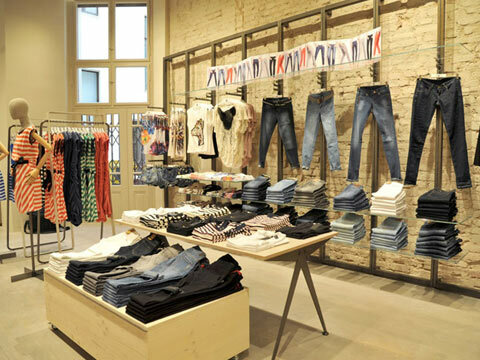 By embracing ‘Specto Footfall Counters’, retailers are reaping opportunities in revenue stream and customer experience.